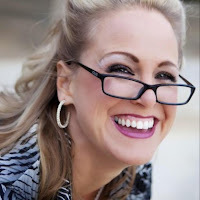 Karen Woodward: Kristen Lamb: Are you butchering your creativity? Kristen's blog is on the (rather long) list of things that I love, and her last blog post is an excellent example of why. Not too long ago one of my biggest problems (as a writer at least!) was that I killed my voice during the editing process. I pounced on any deviation from English Grammar -- for instance, a sentence fragment -- and either deleted it or re-worked it. But the result never had as much oomph as the original. My critique group helped set me straight, but if you don't have one, or if you just need a reminder, Kristen's post is a must read! This is an excerpt of Kristen's article, which I would encourage you to read in its entirety here. Exactly! We need to give ourselves permission to write whatever comes to us on the first draft, to turn off our internal editor. On the second and third and fourth and, etc., drafts we can edit, but on the first draft we need to give ourselves permission to let everything hang out. Thanks Gene Pool Diva! I'm trying the whole "no premature editing" thing but it's harder than it seems. Thank you for your post. It helped me a lot. You are a real encouragement to all of us that are trying to succeed. It is so easy to get discouraged. Thanks again. Hi Glenda, glad you liked it!